Cornelia Hancock was born in 1840, and by 1863 she was ready to help look after the sick in the US Civil War. Here, Matt Goolsby explains how Cornelia broke boundaries and helped many people during the Civil War and after. Life in mid-nineteenth century America was vastly different to today. The news was relayed either by messenger via horseback, by train, or over telegraph wires. The northern states had more than 90% of the established infrastructure of the day versus the paltry facilities of the South. Unsurprisingly, there was a heightened interest in news of the Civil War and especially of the battle of Gettysburg since the nation’s sons were involved. Pennsylvania took center stage in July of 1863. Driven by a desire to fulfill her life’s purpose, Cornelia Hancock knew that she needed to be involved. Cornelia Hancock came from a very unassuming Quaker family. 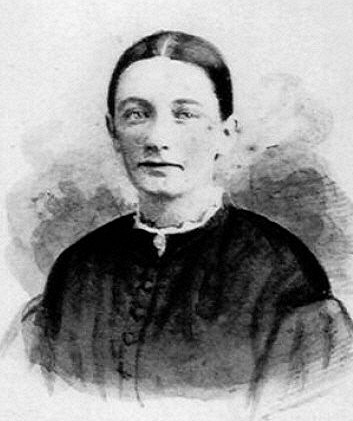 She had been born on February 8, 1840, at Hancock’s Bridge in Salem, New Jersey. Many Quakers had fled England due to religious persecution and had wanted only to live a quiet life and practice their religion. Their unique lifestyle even caused persecution to occur in early New England history, but had subsided with the Tolerance Act of 1689. The Hancock family had abolitionist leanings due to their Quaker principles and believed that the nationwide conflict was just. Personally affected, Cornelia’s brother had enlisted in the Union Army, which motivated her to help in some significant way. Cornelia’s older sister had been employed at the US mint in Philadelphia and later married a Quaker doctor named, Henry T. Child, also from Philadelphia, who felt strongly about caring for wounded soldiers. Dr. Child knew of Cornelia’s desire to get involved and so requested she travel to Gettysburg to help relieve some of the pain the wounded and dying were going through. Her arrival in Gettysburg established her role as a ‘Volunteer’ nurse as most of the nurses or assistants of the day had no formal medical training. Nurses of the day were called ‘Volunteer’ and were recruited as plain women over the age of thirty-five who were required to wear unassuming and non-adorning apparel. They were also instructed to wear nothing in their hair and forego jewelry so as not to be a distraction and to also not become a victim of men’s advances. This had been outlined by Dorothea Dix, the Army Superintendent of Nurses. Cornelia spurned these requirements being only 23 at the time and proceeded with grim determination. She made it to the battle site on July 6, 1863 to ghastly conditions. Most of the dead had remained on the battlefield in the blistering summer sun for three days after the battle ended. This caused the bodies to quickly decompose, which created an unbearable stench that hang heavy in the air. After losing the battle, Robert E Lee had fled the Union Army with his forces leaving 5000 of his Confederate troops behind. This only added to the misery experienced after the conflict ended. Upon entering 3rd Division, 2nd Corps Field Hospital on July 7, 1863, Cornelia wrote that the wounded had been separated into differing levels of triage: those who had severe head wounds and were deemed ‘hopeless’, those who had a slim chance of survival, and those who were recovering. Her first official duties were to write down last requests to family members from those too weak to do it themselves who would soon become the ‘beloved dead’. As Cornelia quickly matured in her work at the Field Hospitals, she became a strong advocate for the men in her care. There were severe shortages of basic supplies, especially bedding and bandages. Her writings reflect the desire to meet these basic needs as she solicited family and friends for funds to procure what was essential for the care of the wounded. The amazing aspect of Cornelia’s personality that comes out in her writings is that she was truly moved by the misery surrounding her and yet the sadness of the situation never seemed to paralyze her to the needs of others. These experiences would refine as well as clarify what her future life’s work would become. As the war progressed and the suffering continued, she would jokingly refer to the ‘Copperheads’ as being worthy of death because of the lack of support they gave to the Union cause. This coming from a nurse who saw the best and worst in humanity shows the paradox of the experience of war and life itself. ‘Copperhead’ was the term given to a group of Union Democrat politicians who were vociferous in their criticism of the war and wanted an immediate truce with the Confederates of the Southern United States. It was given to them by Republicans who likened them to a snake of the same name. Not an endearing term or moniker. Another aspect of Cornelia’s personality that comes out is the love of her family and yet, in the resistance to become what they would have preferred. She had been raised with loving but strict Quaker principles. Her family would have preferred she take a more ‘prudent’ direction with her life. However, she chose to care for those who she felt needed her most. This is very evident in her letters. One such letter shows the depth of compassion she has for both the wounded and their families and friends: “I have eight wall tents of amputated men. The tents of the wounded I look right out on - it is a melancholy sight, but you have no idea how soon one gets used to it. Their screams of agony do not make as much an impression on me now as the reading of this letter will on you. The most painful task we have here, is entertaining the friends who come from home and see their friends all mangled up”, written Sunday, July 26th, 1863 at 3rd Division-2nd Army Corp Hospital, Gettysburg, PA.
Cornelia had the innate ability to see the greater purpose in her service to others. Her desire to provide for the physical needs of the men as well as their emotional comfort is on plain display in many of her letters. When she speaks of men who are about to die from mortal wounds to those who would cry because they were being transferred to another hospital away from her care, you can hear her compassion and empathy for them. In the final two years of the Civil War, Cornelia spent her time moving to different locations as the need arose. During the latter part of October, 1863, she moved from Philadelphia to Washington D.C. to care for the ‘Contraband’. The escaped slaves or those who sided with the Union Army during the Civil War were referred to as ‘Contrabands’. Cornelia also used the term in her letters to describe the families of those who had also escaped with them. Conditions for those termed ‘Contraband’, were dismal at best. It was after witnessing the effects of slavery and poverty that she felt strongly that something had to be done to improve their lives. Her first efforts were to solicit family for funds to purchase clothing for those who were the poorest of the poor. She also witnessed firsthand the brutal effects of what many a slaveowner had wielded on their slaves. She goes on to describe the heinous instruments used to keep slaves from comfort and freedom. These experiences along with her witnessing what the ‘Contraband’ had for food and clothing only solidified her resolve to do what she could for the least of these, her brethren. As the war continued, Cornelia would transfer to several different locations. They included: Brandy Station and Fredericksburg, Virginia, White House Landing, City Point, Virginia, and finally to where the war ended: Richmond, Virginia. After the war ended, Cornelia spent the next ten years in which she established the Laing School in Mount Pleasant, South Carolina whose mission was to educate former slaves and to inspire them to become good citizens through high ideals. The remainder of Cornelia’s life was spent working on behalf of the poor and ministering to those who had no advocate. Her strength of character and purpose is demonstrated in the many letters written to family that document her experiences at Gettysburg and throughout the American experience during the Civil War. She was and continues to be a national treasure. Finally, the next article in the series is on Clara Barton, another US Civil War-era nurse. Clara Barton also played a key role in the formation of the American Red Cross - article available here. 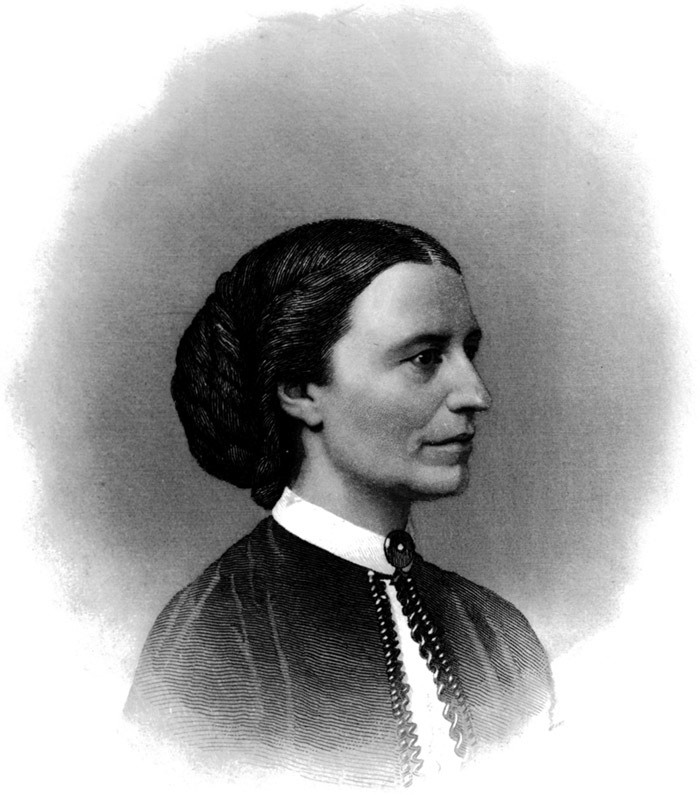 Henrietta Stratton Jaquette - Editor, “Letters of a Civil War Nurse: Cornelia Hancock 1863-1865”, University of Nebraska Press, 1998, Foreword and 1-32.